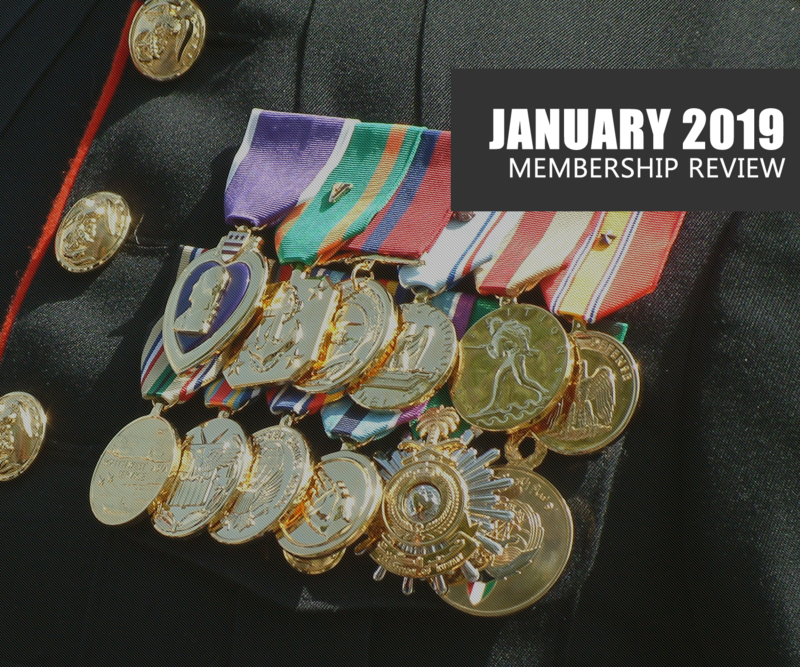 I'm pleased to announce we’ve completed the first membership review of 2019. It seems January has been consistent for us with many new faces joining us as EFT continues to grow in popularity and development. After a very thorough evaluation of all the members this month, and it being even harder than normal to choose our Member of the Month, I’m very pleased to announce that GEN5 has won the award for January 2019! Close contenders for the award were VKleita, DutchDMR, Doh, Mooney, Dewil and Kokroach! Each of these guys has been consistently active, been very friendly and helpful to other players , as well as helping out with behind the scenes administration and induction of new members! Gen has just pipped the other guys and managed to top this list for the last month and so gets the award! A massive thanks to each of you for all your contributions and input though, it’s genuinely appreciated! Premier to Senior - Two members have triggered a time served promotion in their grade this month – Kokroach has now been with us in excess of five years and has been invited to join the senior membership team for his consistent activity and input across several gaming campaigns. He joined us back in January 2014 when we were very active on DayZ Epoch/Overpoch mods on ARMA2. He then got involved heavily on our Arma 3 and Star Citizen campaigns as well as others and was one of our pioneers of EFT. Mooney joined us as a young lad from Sheffield way back in 2005/6 when we were very active on Counter Strike Source and Battlefield 2. He quickly established himself as a popular and capable member, despite his young age and stayed with us for several years. Sadly he fell out of the BSB scene when the community struggled on supporting BF2 (despite it being a ‘dead’ game) and also struggled to established consistent campaign for the next year or two. Thankfully, he returned to us late last year with our FT campaign. Since then’ he’s re-established himself as a leading member and been invaluable in the support of the EFT campaign, as well as the community as a whole. Thanks to both of you for all your input and continued support. Welcome to the seniors boys! Outte-loutte has returned to us at the end of January and as a ‘Honourary’ member is entitled to resume his mothballed membership. He is immediately reinstated with Senior grade membership, He joined us way back in 2004/2005 on out Counter Strike campaign and quickly proved himself to be a very friendly and popular member- as well as having amazing skills. Since then, he’s joined us on many, many gaming campaigns and proved himself to be just as popular and always just as deadly! We’re very pleased to welcome Outte back to the BSB family! Unfortunately, due to a lack of recent activity, the following members have had their Grade 2 membership reset back to Grade 1 . Sorry guys, but you just haven’t been active but remain a part of the community and are more than welcome to resume your Endorsed membership should your activity improve within the community. Going forward into February, we’re anticipating an exciting month with development continuing on our primary campaign EFT and a big patch anticipated towards the end of the month or early March. We’re anticipating an imminent upgrade of the EFT engine as well as the release of the player ‘hideout’ module. I'd also like to look into the possibility of hosting an EFT tournament of some kind (open to suggestions via the forum/Discord) as well as one of our "Bash-off" events where we host a gmaing evening ona different gaming title to get memebrs playing together. Make sure you’re involved and helping to support us on EFT and any other games you may be playing by jumping on our Discord server and visiting our community website & forum! Thanks for a great start to 2019 and lets keep this momentum going into February and March! What Monitor do you use? Memory Cleaner App - Essential for Tarkov & Scum right now! Please help support our community by making a donation. All donations are used towards services, resources and prize funds. 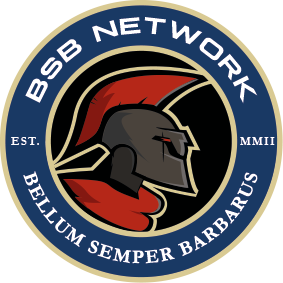 Copyright © 2018 BSB Network All Rights Reserved. Legal Statement - All game logos and graphics are not the property of BSB Network and are used under fair use exclusive copyright.